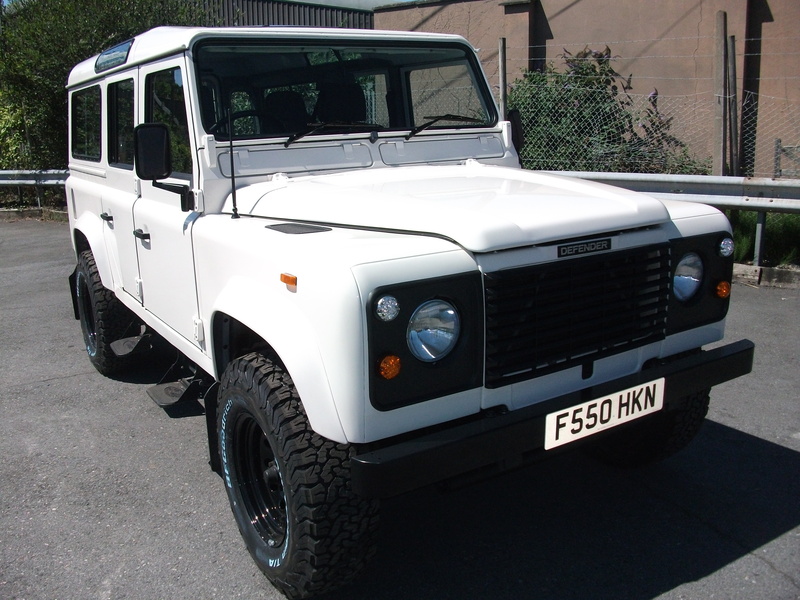 We now specialise in the Partial/Full Refurbishment or Modification of Vintage,Classic and Modern Defenders from 1948 up to 2016. No job is too small or too large ! Whether you would like an old family treasured Series model revitalised, but kept to original specification and colour, or you would prefer your Defender given a makeover ! We also sell revamped Defenders. The iconic Defender is no longer being built new but we can source a good but tired looking Defender and can resurrect it into a ‘as good as new’ model. Below are a few of our recent and current Projects . . This lovely 1963 Series 2a 109 Safari Station Wagon was spotted by it’s now owner at an auction in a very sad state. Suffice to say he put his hand up and at the drop of the hammer he was now the proud owner. After phone conversations with us it was delivered on a trailer to our workshops. We dismantled it completely and then looked at the sorry piles of rusty metal,corroded aluminium,ripped trim and lots of unrecognisable parts. The owner’s stipulation was that he wanted to drive out from our workshops in a “brand new” Series Land Rover ! (quite a statement). The rebuild started with a brand new galvanised chassis and from that foundation the Land Rover gradually took shape. However, as the pictures below show …we replaced,remade,rebuilt,re-fabricated and repainted part after part, even sourcing two brand new “B” pillars from Land Rover at Solihull still in their original packing ! With the help of a first class local paint shop and a vehicle upholstery trimmers the end result made a grown man(the owner) shed a tear of joy on final collection. One of the final pictures below shows myself(Mike) and the man responsible for all the hard work(Paul) stood beside the finished vehicle. This rebuild has since been the subject of an article in a local Devon newspaper(the Moorlander) and will be featured in this October’s “Classic Land Rover” magazine. Now onto the next one…..
A 1988 Defender 110TD Station Wagon which came to us very tired and therefore was treated to a full makeover including complete stripdown and repaint with new doors ,glass,carpets,head linings,wheels,tyres etc.,full service and overhaul of brakes,new clutch and much more. The result was an almost “as new” 28 year old iconic Defender and a very pleased owner !